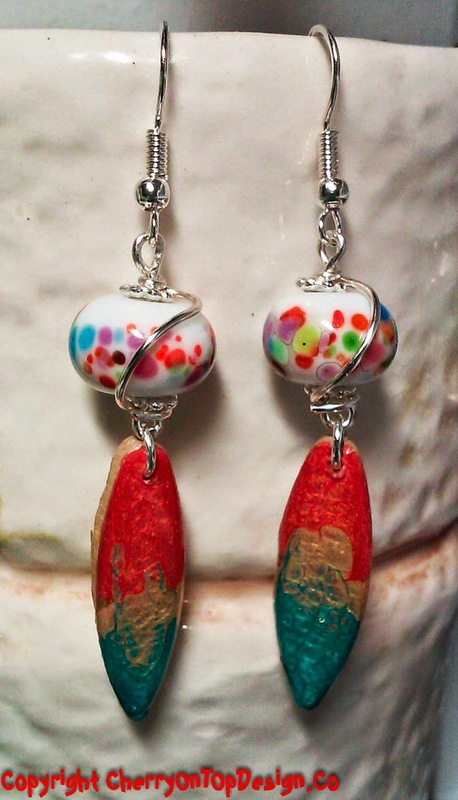 So, this week's pair of earrings are bright and bold - just like Puerto Rico! They feature handmade glass rounds with a plethora of fun dots. The bottom charms are pieces I made, handpainted - with resin - on wood - so they are SUPER lightweight! They're bright, fun and BEAUTIFUL! Those are super bright and fun! Who is the lampwork by?